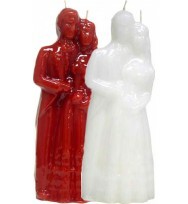 10" tall, anoint marriage image ritual candle with Fire of Love Oil for added power. 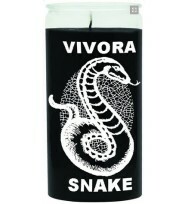 This r..
Snake Black Silkscreened 14 Day Glass Candle 9" Tall 4" Wide Burns approximately 240 hrs. Burn Sna..
Adam & Eve Pink 14 Day Glass Candle 4" Wide and 9" Tall Burns approximately 240 hrs Burn Adam .. 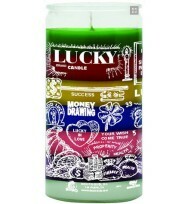 Draw customers and lots of money by burning a 14 day better business candle. 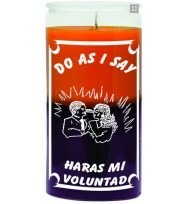 Anoint candle dai.. 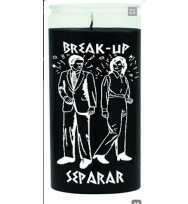 Break Up Brown Silkscreened 14 Day Glass Candle 9" Tall 4" Wide Burns approximately 240 hrs. 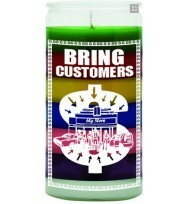 Burn ..
Bring Customers 7 Colors 14 Day Glass Candle 9" Tall 4" Wide Burns approximately 240 hrs. Burn Bri..
Do As I Say Gold/Purple 14 Day Glass Candle 9" Tall 4" Wide Burns approximately 240 hrs. Bur.. 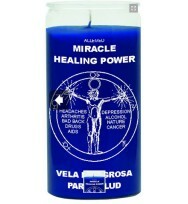 Miracle Healing Blue Silkscreened 7day Glass Candle 9" Tall 4" Wide Burns approximately 240 hrs. B..
Money Drawing 7 Colors 14 Day Glass Candle 9" Tall 4" Wide Burns approximately 240 hrs. Burn .. 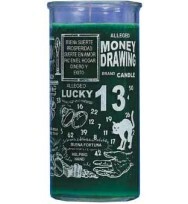 Burn a 14 Day Money Drawing Candle to draw money and fortune your way. Burn daily to acquire money a.. 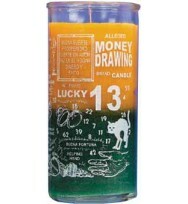 Burn a 14 Day Money Drawing Candle to draw money and fortune your way. Burn daily to acquire m.. 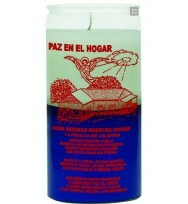 Peaceful Home White/Blue 14 Day Glass Candle 9" Tall 4" Wide Burns approximately 240 hrs. 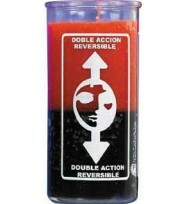 Burn Pea..
Reversible Black/Red 14 Day Glass Candle 9" Tall 4" Wide Burns approximately 240 hrs. Burn R.. 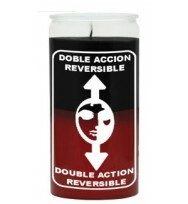 Burn a 14 Day Reversible Candle to reverse evil. 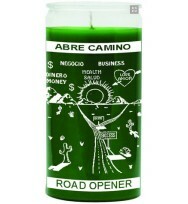 Burn the red first to draw positive vibrations into..
Road Opener Green 14 Day Glass Candle 9" Tall 4" Burns approximately 240 hrs. Burn Road Opener Can..